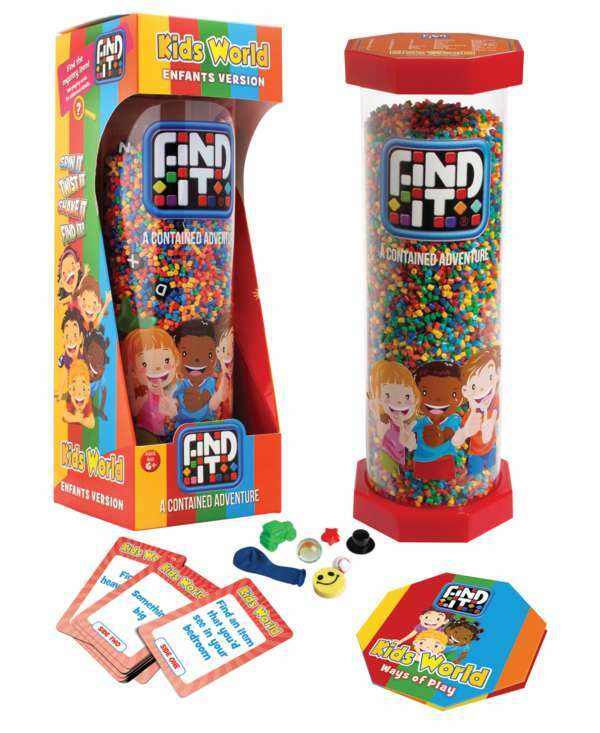 Find It® is like a portable treasure hunt. The unique game that contains 40 themed items each version. Originally launched in 2003, Find It® has been a grassroots phenomenon in the USA, and around the world. With over 4 million sold, the concept continues to prove itself at retail! SPIN IT, TWIST IT, SHAKE IT! Be the first to find the hidden item! This family game is enjoyed by adults as well as children. It is a great travel game, terrific learning center activity, or is a fun battle game. The game comes with colored plastic ends, giving the game an exciting, colorful look and caters towards learning. The package includes the Find It® hidden object game and dice. An educational family game for one or more players to enjoy, whether you are 8 or 98!